::: De La Soul is Not Dead, the documentary that details their Daisy Age rise! De La Soul is Not Dead, the documentary that details their Daisy Age rise! Written by Mass Appeal — De La Soul Is Not Dead takes it all the way back to Amityville, Long Island — a suburban hip hop mecca where three highly creative individuals and high school classmates linked up with DJ Prince Paul and shopped a demo tape to Tommy Boy Records. The label that brought the world "Planet Rock" would soon have another smash hit on their hands with "Me Myself and I" and De La Soul, the so-called "Hippies of Hip Hop." But little did they know what the future would hold. Many of De La Soul's early classics are difficult to find on digital music platforms due to complex sample clearance issues. As a result, their impact on the development of hip hop is felt from the group's Native Tongues affiliates through Kanye West, Pharrell, and Kendrick Lamar. 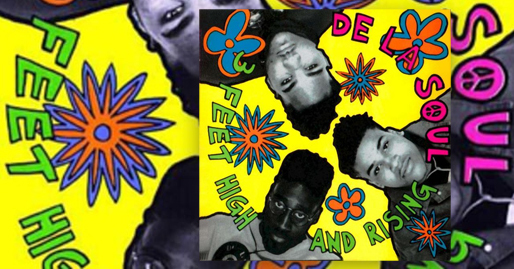 It's been twenty-five years since "De La Soul Is Dead," the group's iconoclastic sophomore album, and twenty years since "Stakes Is High," their first project without Prince Paul at the helm. These two pivotal releases positioned the group on the career trajectory that leads them to this extraordinary moment. Last week De La Soul's latest release, "And The Anonymous Nobody," topped Billboard's Rap Albums Chart. Funded by a half-million-dollar Kickstarter bonanza, the group's first new album in over a decade features diverse guest spots from Snoop Dogg to David Byrne. What better time to look back at the legendary trio's rise through the rap game? Click here or press PLAY below to watch the documentary.